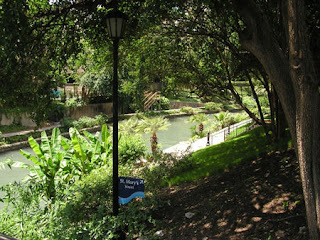 Stroll along the River Walk in San Antonio. Planning an RV vacation in central Texas? You can't go wrong by visiting the Alamo or natural wonders like Enchanted Rock. Start in the San Antonio area and work your way north to Waco, or take the route from the other end. · San Antonio is surrounded by comfortable RV parks and campgrounds. While there, enjoy strolling downtown's beautiful River Walk, which is fully ADA accessible. If you'd prefer a long walk or a bike ride, San Antonio has 23 miles of Greenway trails, all open to the public. San Antonio also offers a plethora of cultural events: the city has many theaters, galleries, musical groups, and dance ensembles. If you’re interested in history, visit the Alamo and the area's five historic missions. 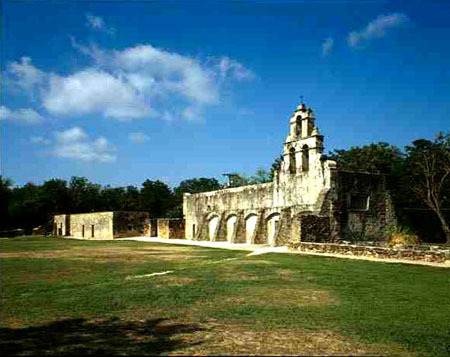 At San Antonio Missions National Historic Park, children can become Junior Rangers, complete several activities, and receive their Ranger's badge. At the end of April and beginning of May, you can also visit the annual Mexican Folk Art Show & Sale with pottery-making and woodcarving demonstrations. · Out of San Antonio, go west on I-10, eventually merging onto US-87-N, which takes you into Fredericksburg. But don't be in a hurry. Take some time to get comfortable in Comfort, Texas, which is along the way. Comfort is a wonderful place to go shopping for antiques, go golfing at the Buckhorn Golf Course or head out to Flat Rock Ranch for mountain biking (unless you’re in the mood for relaxing). · When you arrive in Fredericksburg, you may wonder what that pink dome on the horizon is. It's a batholith - an exposed underground rock formation made from cooled volcanic magma. The Tonkawa Nation of Native Americans called it Enchanted Rock, believing that it was at one time enchanted by a Spanish conquistador and that ghostly fires could be seen at the top. Today, it is a protected state of Texas natural area (Enchanted Rock State Natural Area). It’s a great spot for hiking or rock-climbing. Explore farms, orchards, vineyards, and a living history farmstead, as well as music, museums, and a historic district around Fredericksburg, which was founded in 1846 by German settlers. Don't miss the National Museum of the Pacific War, the Pioneer Museum, Wildseed Farms, Fredericksburg Herb Farm, or any of Fredericksburg's unique restaurants, bakeries, and shops (FYI: some of them specialize in chocolate!). Fredericksburg is also surrounded by RV sites and campgrounds. · Fredericksburg to Waco is a three-hour drive, but take your time and enjoy the scenery. Start on US-290-E, turn onto US-281-N, jog onto TX-29-E (W. Polk St.), and then get onto I-35 and follow the signs to Waco. This part of Texas seems made for RV exploration. Don’t miss Waco's historic suspension bridge, which was built in the mid-1800s. Although now it is closed to all but pedestrian traffic, the bridge was, at the time, the first bridge to span the Brazos River and the longest bridge of any kind in the U.S. west of the Mississippi. Once the Waco suspension bridge was completed, its makers headed east to build the Brooklyn Bridge. From the bridge you can walk west into Indian Spring Park or east into Martin Luther King Jr. Memorial Park. In the same area, you'll find the Waco Tourism Information Center and the Texas Ranger Museum. In late April you can enjoy the annual Cotton Palace Pageant, celebrating Waco's history as a former world-class cotton producer. In September attend the Waco Cultural Arts Fest in Indian Spring Park. Leaving Waco, head north for the Dallas-Fort Worth area on I-35. Allow plenty of time for family activities as you cruise through central Texas on this RV adventure. Joe Laing, Marketing Director for El Monte RV Rentals, provided this guest post.